With the rise of athleisure in the fashion world, the sneaker trend has taken off. And every great pair of sneakers needs a great pair of athletic socks. While they may fly under the radar, a cool new pair of socks is an easy (and often affordable) way to update your look. From high-end designers like Balenciaga and Givenchy to everyday classics like Nike and Adidas, there’s a pair of socks for every occasion (and budget). For a simple way to update your usual sneakers, all you have to do is throw some cool socks into the mix. Ahead, we’ve found some of our favorite pairs of athletic socks up the ante both in the gym and out. Wear them with your favorite pair of leggings to complete the stylish look while remaining comfortable, or take it a little further and pair them with some heels or sandals for an unexpected high-low ensemble. Read on to shop for your next set of chic athletic socks. 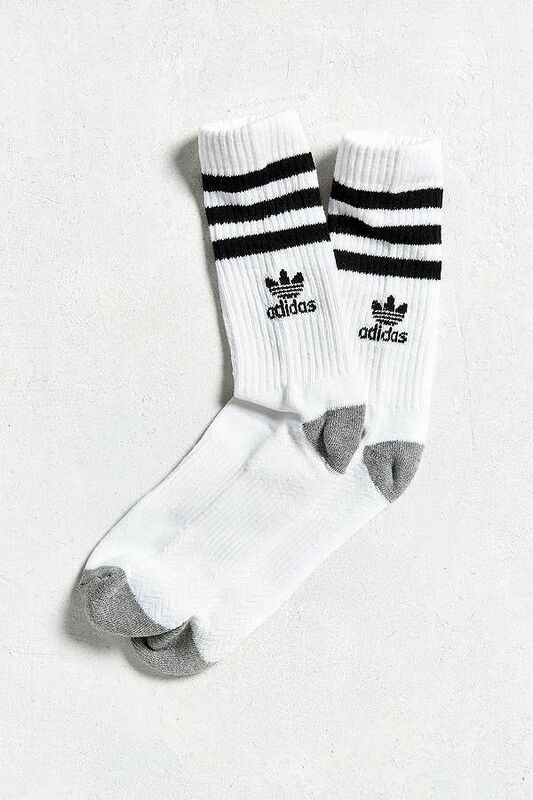 These classic socks will go with anything you wear. Green will make a statement. Who doesn't need a touch of Gucci? A pair of Prada socks will make your look so chic. Classic black is always appropriate. You can never have too many logos. A pair of tall socks will keep you warm. Who doesn't love a good pair of standout socks? Ready for more athleisure? Read about the best brands to wear now.